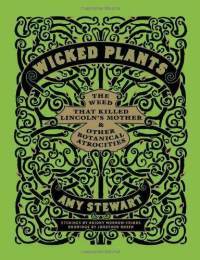 I don’t have much to say – this is a non-fiction book about poisonous, deadly, and otherwise harmful plants. Interesting, but forgettable; also, the Kindle edition was a problem, since I couldn’t ever tell what plant I was looking at an illustration of. I’ve read this one; I got it from the library once. Botany is a favorite subject of mine, so i quite enjoyed it.